Prerequisite: This is open enrollment because we also teach jump into LSP at the same time. 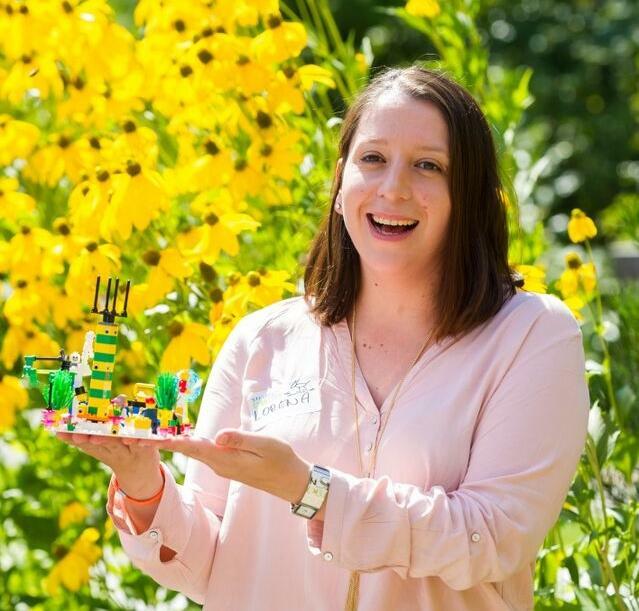 This is a Unique Certification Training combining two powerful methodologies LEGO® SERIOUS PLAY® with Creative Problem Solving. This integration of methodologies of LEGO® SERIOUS PLAY® and Simplexity Thinking® has been created to support deep level contemplation and problem-solving. Used together in this unique way, they help with the process of insight development, communication, and thinking strategies. These powerful combined processes, designed by Jacqueline Lloyd Smith, help to unblock areas where people become trapped by their own styles and preferences. The methodologies enable individuals to address and solve complex issues through hands-on mind engaged 3D thinking. The processes are based on extensive research with clinically validated psychometric tools and methods. The immersion in this process causes people to lose track of time while they are 100% engaged and experiencing hard fun. This makes the process invaluable in any toolkit. HR professionals, project managers, coaches, consultants, educators, and counselors can be trained to apply this combination of methodologies to implement this powerful process in the work they do. Additionally, if you work as a researcher, I.T. professional, executive, or leader in your organization, your certification in this unique combination of methodologies can bring enormous benefits and will be a strong addition to your toolkit of techniques and/or a differentiator in the marketplace. Learn the basics of LSP. This training day introduces you to the LEGO® SERIOUS PLAY® tool. You will learn how to use the tools within a setting including flow theory, the use of ground rules to set the playing field, etiquette, and traps to avoid along with numerous applications for different situations to prep the hand-brain connection. Background theory is provided with hands-on learning. This is both a mind awakening experience as well as a skills development workshop. Individual innovation skills and terminology are experienced at a concrete, person-to-person, tabletop level. Individuals learn how to work and think in innovative ways. Participants experience the art and science of creative problem solving and discover their own unique problem-solving style. The third day moves participants thorough processes where tools can be customized for any number of coaching, counseling, research or educational applications. On this day you will work in pairs to experience our method and also design your own customized offerings for your unique clients and settings. Participants will emerge with a tool chest full of applications that apply the powerful process that moves clients toward innovative outcomes. Ok, now stop reading and register for this training - the seats are selling fast! Seats for this program are limited as we have very small class sizes to ensure knowledge transfer. If you procrastinate you will miss it! We are not kidding! REGISTER NOW! Strategic Play® delivers LEGO® SERIOUS PLAY® methods under the creative commons license held by the LEGO® Systems Group. LEGO® SERIOUS PLAY® methodology is an internationally-renowned facilitated process used by organizations to engage participants to generate innovative ideas for organizational improvement.